MOSCOW, June 14 (Itar-Tass) – RIA Novosti. The insurance markets for drones and the responsibility of their owners in Russia are just emerging, there are still many issues and difficulties in this area, but there are definitely prospects for development, albeit remote, experts of insurance companies told RIA Novosti. Back in June last year, at the SPIEF-2017 site, the topic of development of unmanned systems, in particular air systems, was discussed. Estimates showed that the volume of this market by 2035 will be more than 200 billion dollars, the share of Russia in it can approach 20%. Already in 20 years over the RF will be able to be in the air at least 100 thousand drones.At the beginning of July 2017, amendments to the RF Air Code came into force, according to which unmanned aerial vehicles (UAVs), weighing up to 30 kilograms, must be registered. In July of the same year, Russian Prime Minister Dmitry Medvedev announced the need to amend transport legislation, traffic rules and insurance for the development of the market for unmanned vehicles. To date, the use of unmanned vehicles is mainly limited to military objectives and the needs of large agencies, such as the Ministry of Emergency Situations. Experts note that the drones insurance market, as well as car insurance, unmanageable by the man – these are potentially new markets that are only being formed both in Russia and around the world. At the same time, they are sure that there are prospects in these markets in Russia, despite the fact that there are more questions than answers. “While we can say that this is rather a new direction, sooner or later insurers will go, but to really become a market, two key conditions are needed,” said Vladimir Novikov, deputy general director of Sberbank Insurance.“The first thing is that the use of drones should become massive and obey certain rules.” Second, there should be a practice when some kind of responsibility arises for violation of rules or any damages caused to owners of drones by third parties, “Novikov said. According to him, only after this there will be real ground for the client to have a desire to protect himself with the help of an insurance policy, while insurers have the necessary opportunity to insure this risk. “Otherwise, the main principle of insurance, based on statistical laws and assessment of losses, based on observations of a large number of insurance events, simply will not work,” he explained. Novikov noted that there are very few rules for the operation of the drones owners insurance market. “In this situation, insurance has the risk that either it will become very limited or it will come to the conclusion that all kinds of cases falling within and not falling under the notion of insurance will be presented to the insurance company and it will have to pay,” he said. 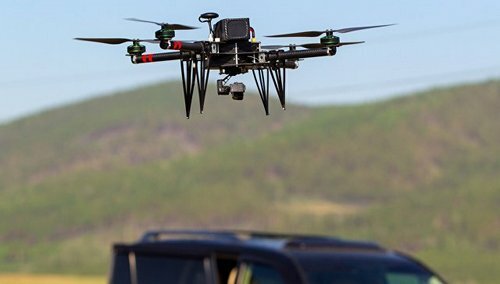 “That is, it is dangerous for both insurers and owners, when, say, they will be offered an insurance contract that covers a very narrow segment of what could be insured,” Novikov said.Evgeny Popkov, the head of the marketing research department of IC MAKS, connects the main problems of unmanned aircraft insurance with the uncertain legal status of such equipment. “If a drone moving in an automatic mode collides with another aircraft, or causes harm to people’s health, then who will be responsible? Here we need clear and unambiguous answers fixed by law.” By the way, for the same reason, the mass development of systems autopilot in cars, “Popkov said. “The main issues at the moment are: which bodies regulate the movement of unmanned aircraft (unmanned aircraft – ed. ), How to identify the BVS and its owner, where to apply in case of harm to third parties where to pass a qualified training to the operator of BVS, is the BVS manufacturer certified and others, “added Diana Mitrofanova, deputy head of the aviation industry insurance and airport liability department at Ingosstrakh. Experts also tried to predict the volume of the market of drones insurance in Russia.As noted by Popkov, according to various estimates, the size of the market of civil unmanned vehicles will reach 35-40 billion rubles by 2035. And the speech, he said, is not only about flying vehicles, which will be used for delivery of small-sized cargoes, cartography and monitoring of the state of natural objects and industrial facilities of large extent (in particular pipelines), but also about ground equipment, will find the greatest application in agriculture. “Based on the predicted values ​​of the drones market, it is possible to estimate the volume of the corresponding insurance segment.” In sum, the fees for insuring property risks and the responsibility of owners of unmanned vehicles can reach the level of 3.5-4 billion rubles by 2035, “Popkov believes. And Novikov noted that for those companies that are starting to do something in this direction, it is rather an experiment on risk insurance, which has not been fully studied yet.